KANSAS CITY, MO—In an effort to gain a competitive advantage against a formidable opponent, the New England Patriots scored two touchdowns against the Chiefs Friday in a preemptive strike before Sunday’s AFC Championship Game. 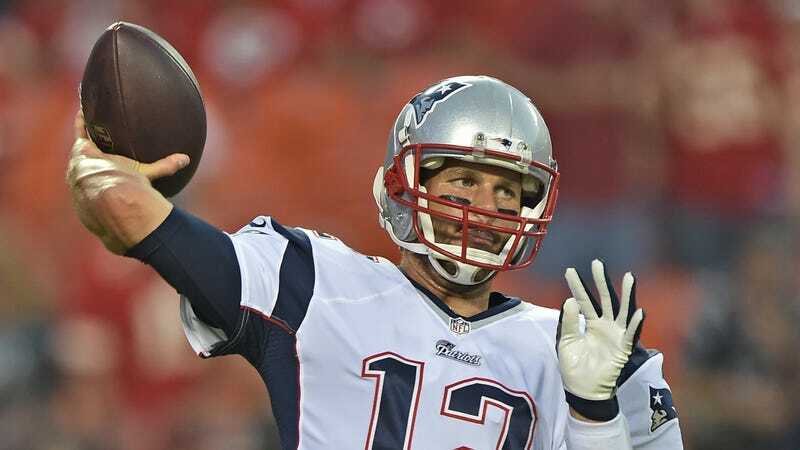 “We knew we had to do something to catch them off guard, so we ran a no-huddle offense before they stepped onto the field and were able to get 16 points on the board after those two-point conversions,” said Patriots quarterback Tom Brady, who overcame several dropped passes and a botched snap before finding the end zone twice. “Hopefully it’ll be tough for the Chiefs to overcome this deficit—especially if we win the coin toss and can put another score on the board before they even get a possession. I think it should give our defense the opportunity to pin their ears back and get after the QB. Mahomes tends to get careless with the ball when he’s playing from behind.” At press time, Chiefs head coach Andy Reid had already squandered all of the team’s timeouts before kickoff.